In our lab, we conduct not only experiments combining behavioural data and ERPs, but also simulations of artificial neural networks. However, not everyone is willing to come out to the lab and have to wear an EEG cap full of gel! 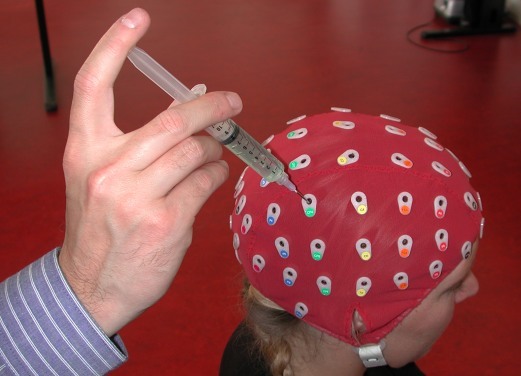 EEG cap full of gel!